This servo is very similar to the Dynamixel AX-12A Smart Servo actuator but has a lower gear ratio to achieve a faster speed. 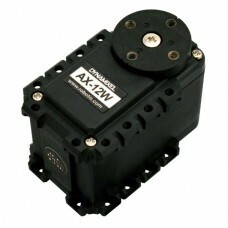 Use this intelligent servo in Wheel Mode to drive your robot around. 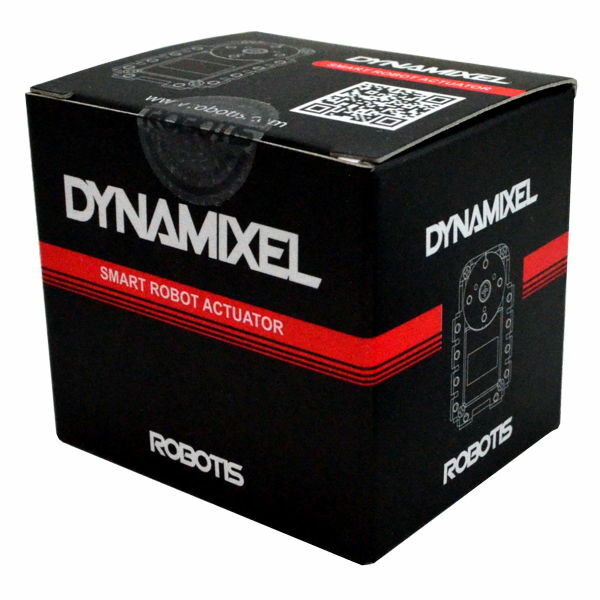 As with all Dynamixel robot actuators, this smart servo has a built in microcontroller brain for maximum versatility. 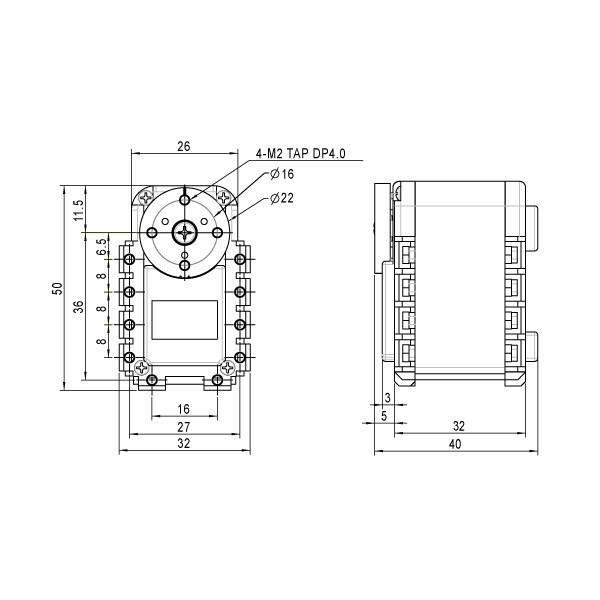 On board sensors allow you to query the servo speed, position, voltage, temperature and load. The onboard microcontroller allows your robot's main controller focus on higher level functions rather than to low level details of servo movement. 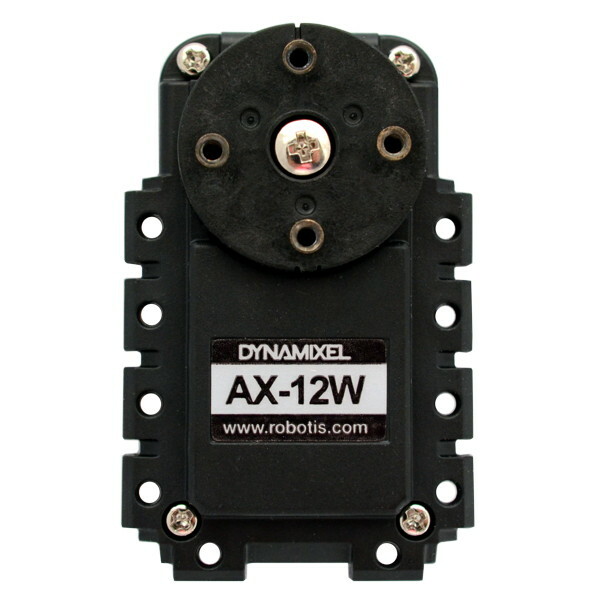 Dynamixel servos feature an intelligent serial bus that allows a large number of compatible smart servos to daisy chained together to greatly simplify wiring and control.